What’s the best time to fix a pothole? 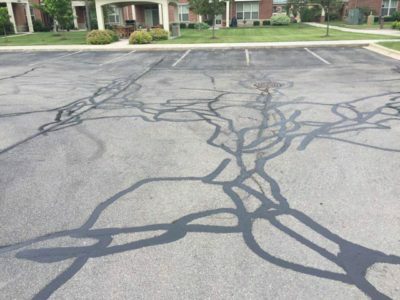 Before it becomes a pothole! 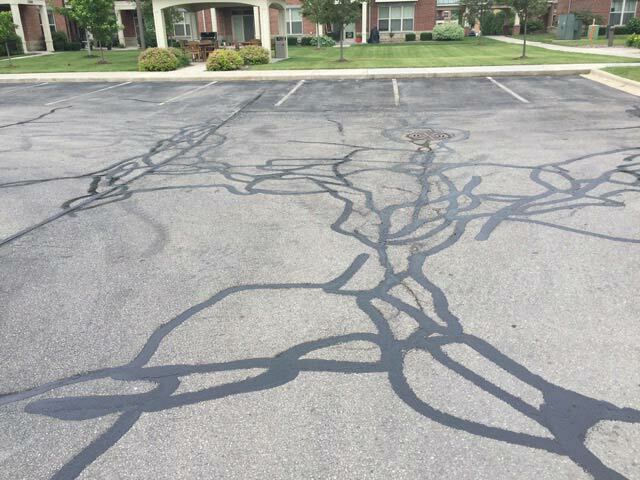 Cracks mean danger. 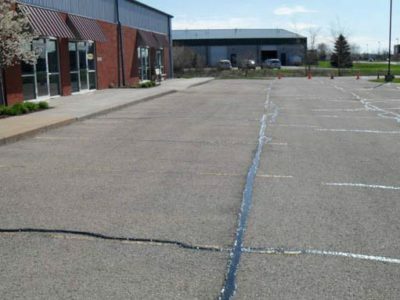 They threaten your investment because water seeps into those cracks and the Wisconsin freeze-thaw cycle starts to tear your parking lot or driveway apart. Crack filling protects your investment. Don’t go with just any crack filling service. If you don’t have the right process, forget it. It won’t work. If you don’t have the right material, it won’t work. And if you don’t have the right equipment, you’re asking for trouble. Here’s why: It all boils down to temperature. 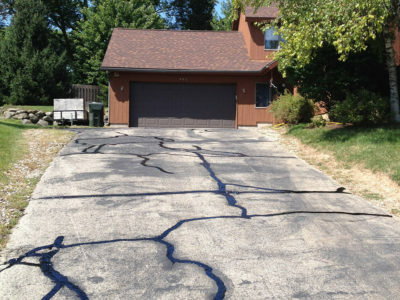 Cracks need to be sealed with DOT spec hot rubber (other products don’t work) applied with the right technology at precisely the right temperature (360 to 380 degrees) so it grips, it stays, it performs long term. If you under heat it, next time you park a car on the sealer, the car tires will pull it right out of the asphalt. If you overheat it, it’s ruined. It won’t work. It won’t perform. 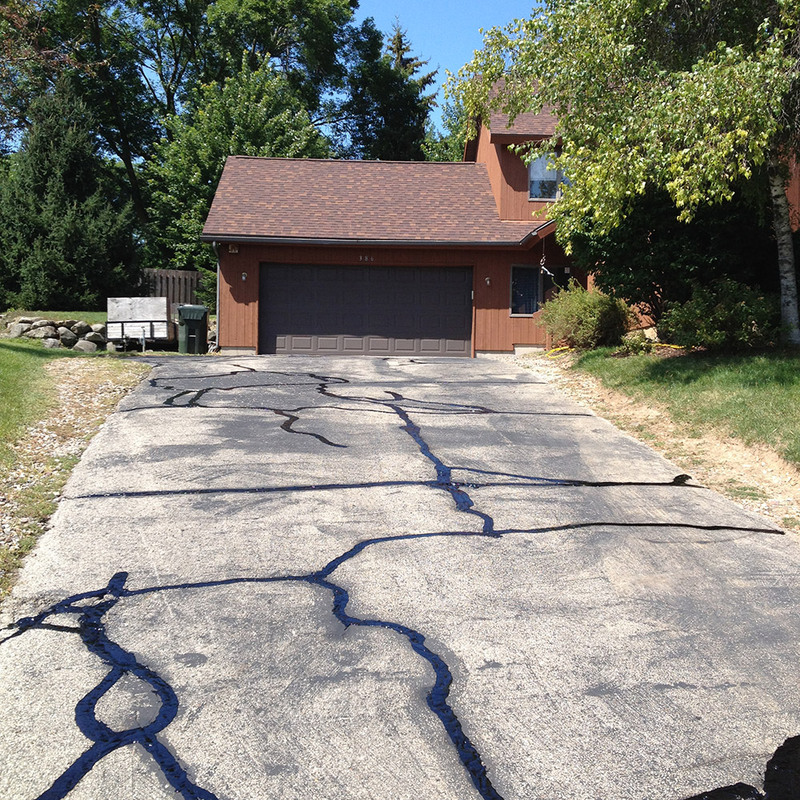 That’s why we invested in the best technology in Dane County for sealing cracks. 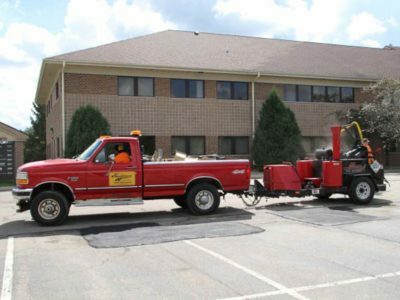 Sure, there are cheap, fly-by-night, do-it-yourself ways to fix asphalt. Some people will try them, but a few months down the road, they’ll be calling us, asking us to tear it out and do it right.